A Family-Owned Home Improvement Company Since 1970! Our success was built on serving our community with quality service at a fair and honest price. 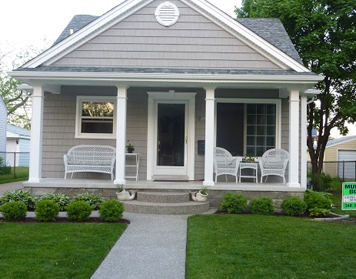 Our home upgrades protect your property, save you money, and look amazing! We make it easy to get the home improvements you need today, without the high up-front costs and little to no Interest! We Have the Financing Options You Need! A Local Berkley, MI Contractor Specializing in Roofing, Siding, Windows, and More! Murray Built Construction has proudly been serving the Oakland County area for over 45 years. A family-owned business, Murray Built Construction was passed down from father to son. Almost all of our team members are family and are happy to be living and working in the community they grew up in – helping beautify it one house at a time. As members of the community, we base our success on our customers’ satisfaction. Unlike some of the bigger companies that work in the area, we never use high-pressure sales or bait-and-switch tactics. We’re committed to providing fair, honest upfront estimates and we’ll never push you to make a purchase you won’t feel great about later. Our commitment to fair and honest business is why we’re trusted in our community! Not only are we fair and honest, we love what we do – and it shows. We’re craftsmen first, and we take pride in our attention to detail and getting incredible results. If we didn’t focus on getting great results, we’d have a lot of angry neighbors! That’s why you can count on us to see the job through until you are completely satisfied. At Murray Built Construction, we use locally-made products whenever possible! Although we always give our customers the options they deserve, we are partnered with Sunrise Windows and Wolverine Siding – both Michigan companies – to provide a great value on high-quality products made right here in our home state! Working with Rick Murray and his crew was a pleasure from the beginning. They did fantastic work, had fair prices, were responsive, respectful, and overall just fantastic. I would recommend them to anyone. Great people and business. And, we love our siding! Niki B.